Who Is Cash My Car? We buy all types of vehicles including; Cars, Trucks, Vans, Utes and 4WDs. We pay out top dollar and provide a free vehicle removal service to all locations within the Auckland region. We have over 10 years experience within the car removals industry. Over that time we have been able to service many happy clients, and have established ourselves as one of the most trusted cash for car companies in Auckland. 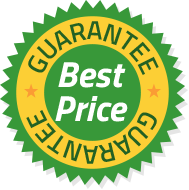 Our goal has always been to provide a professional, friendly and fair service where our clients get top dollar deals. Why are our cash prices so unbeatable? We are able to provide you with the best cash offers on your vehicles because we are not the middle man. This means we aren’t buying on behalf of larger companies. We process all of our own vehicles which means we are able to pay you more! Get your free instant offer now!